Investing is a journey. There is an end goal, but there are a lot of steps along the way. If you’re just starting to invest or are contemplating the big jump into the investment pool, consider thinking of your goals in qualitative rather than quantitative terms – just like you must when you train horses. Let’s look at how two seemingly different concepts can be surprisingly similar. Really, you never know what might take a little longer than expected. Perhaps my horse will grasp right on to the idea of lunging, but when I ask her to pick up a hoof, I might as well be asking for blood. However, what I can say is, “By next summer, I would like to be riding.” Then I can break the training down to bite-sized bits and adjust the time frame as I go. The same is true of financial objectives. You have to look at the overall picture. For example, you might want to retire on a yacht, but if that means you’re so broke in your current working life that you can’t afford to buy new socks, your plan may need some adjusting. To accomplish this, you could measure your progress along the way in terms of short term and long term goals and adjust accordingly. Just like setting a goal in horse training, focusing on smaller goals in finance can help you realize your larger investment goals. Goal 1: Decide how much cash you’ll need to stash to buy your yacht and retire comfortably. Goal 2: Determine how much you will need to contribute to your investment account and 401(k) each year to reach your large objective. Goal 3: Break the yearly goal into a monthly or even per paycheck goal. Goal 4: Remember to reassess your targets as you move ahead; being open to changes in your life and even in your long-term goal will help you better invest in your ever-changing future. 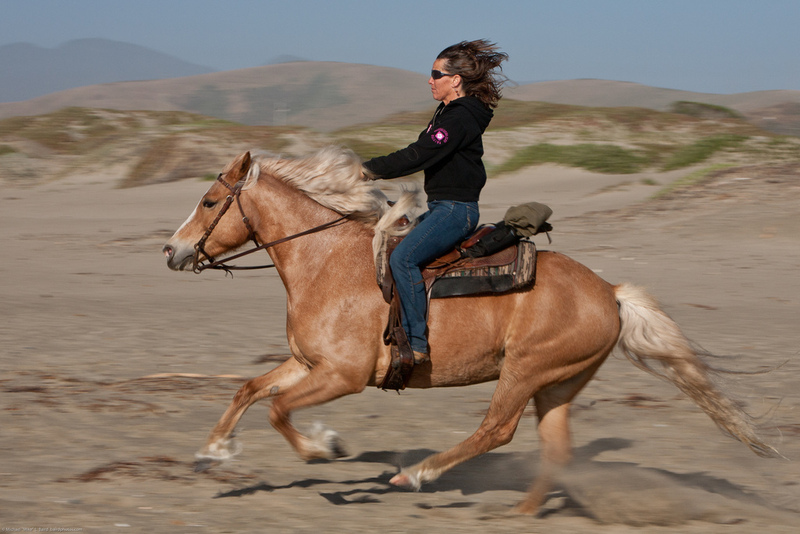 Horse training and investing really are similar. Setting a goal for each begins with a large, qualitative idea. Then breaking the large objective into smaller, more measurable goals can help you attain the larger mission. 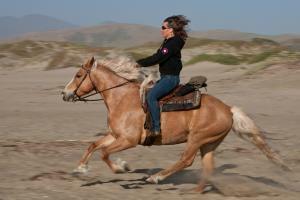 Training a horse and investing also both require a flexibility and willingness to reassess. However, when the goal is met, both horse training and investing enable you to ride across the finish line, fully invested in your future. Great article! You make a great point about long term goals. At the moment all that I have is short term goals and one vague long term goal, to retire with security. I don't know how much I'll need but I figure staying hard working and saving now will lead to that. Ravi, that's the way I started out, too. Once I conquered some of my short term goals, the long term started becoming more and more into focus. Now I have both liquidity, flexibility, and protection (read: security)--you have to find the balance that works best for YOU. If you're reading these investment articles (and based on your own blog), I would say you're on a nice path to retiring with security.